Marriage-Counsel.Com :: Brides, Grooms, Wedding, Matrimonial Services, Marriage Proposals. We welcome you at our web site. Marriage-Counsel.com is a premiere online Matrimonial, marriage matchmaking services with a focus of providing the Pakistani community with the widest selection of potential partners available on the Internet. We also provide a platform for bride and bride-grooms from all over the world to find their suitable life partners. 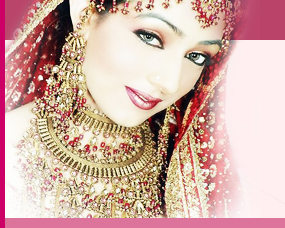 This marriage site helps in finding a potential life partner for you and builds fulfilling relationships. So, what are you waiting for? Register yourself at our Matrimonial site (Marriage-Counsel.Com) and find your dream life partner. Good Luck for your partner search! Marriage-Counsel.com understands that you are serious about finding a life partner. Fortunately, we are too. Our quality team ensures that every profile put up at Marriage-Counsel.com is screened for irrelevant and / or appropriate content. Marriage-Counsel.Com is a virtual marriage bureau, providing service to bride and bride-grooms world-wide. It is owned and managed by BlueAppleSystems.Com, which provide almost all the requirements for a web-based business, ranging from web hosting solutions, domain registrations, website designing, and software development to strategic web promotions. Though we attempt to make all the information on this site as accurate as possible yet it does not guarantee the accuracy of the same. Any information or assertion which is a part of the matrimonial listings, or any other content on the website has not been vetted, screened, endorsed, or investigated, by Marriage-Counsel.com nor does it in any manner whatsoever certify, guarantee or attest the same to be authentic or correct. It does not recommend matches and profiles in any manner. We are continuously improve our service to help our members meet their ideal life partner. If you have any suggestions please feel free to send us your feedback.